Heritage Towne Lake is planned around a 300-acre lake offering unique recreations and beautiful views. Heritage Towne Lake is close enough to Houston for residents to appreciate its big-city offerings, yet far enough away that they can enjoy a more peaceful lifestyle. In a sought-after Coastal Texas location, Heritage Towne Lake provides 55+ adults a water-oriented atmosphere complete with a 300-acre lake designed for living an exciting waterfront lifestyle. Heritage Towne Lake is nestled in a world unto itself, yet is surrounded by the larger Towne Lake community, which broadens the active options for those who want more. K. Hovnanian broke ground in 2007 at Heritage Towne Lake with 40 homes, and Village Builders/Lennar picked it up from there, creating most of the remaining 400 homes aside from a special enclave of custom homes by Goshy Homes and Jaeger Homes. Today, both new and resale homes are available at attractive price points in a variety of styles. Smaller homes start at about 1,550 square feet with two bedrooms and two baths while larger designs feature three-bedroom-plus-den in more than 3,000 square feet. All homes are single-family style with garages for at least two cars. Heritage Towne Lake has the perfect variety of amenities to encourage an active lifestyle without being overwhelming. A 16,000 square-foot clubhouse is home to a quality fitness center, card room, ballroom, arts and crafts studio, billiards and more. Active adults who like yoga, bingo, bridge or poker will have no trouble finding like-minded friends at Heritage Towne Lake. A library and computer area feed a quieter kind of pastime. 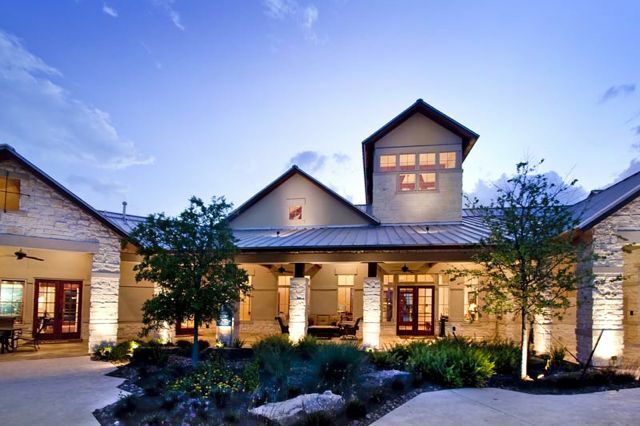 The clubhouse at Heritage Towne Lake features exciting amenities and friendly social activities. For even more activity, residents can visit the outdoor pool and tennis courts, the walking and biking trails or the scenic community parks. Each offers plenty of opportunity for exercise, relaxing or spending time with friends or that special someone. The beautiful 300-acre community lake is the fourth largest recreational lake in the Greater Houston area and is a gorgeous location for boating, fishing and skiing. 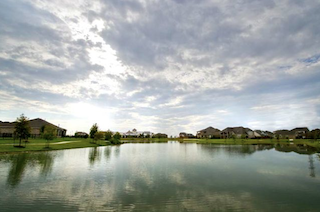 The surrounding Towne Lake community offers plenty of boat launches and a marina. Its miles of shoreline welcome residents and their guests to bask in the sun, jog at the water's edge, or play with the grandkids. Just outside of Heritage Towne Lake is the rest of the master-planned Towne Lake community at large, which ensures Heritage residents aren't too insulated from the rest of the world. Waterfront shopping and dining, a soon-to-come boardwalk, two on-site elementary schools and a future middle school are all part of the mix. The surrounding Cypress-Fairbanks area offers an exciting mix of shopping, dining and recreational opportunities. Seven nearby golf courses ensure the penchant for chasing the little white ball is just a chip shot away from home. Lone Star College-CyFair is adjacent to the community. It has an Academy for Lifelong Learning with a host of classes and activities for adults 50 and better. The nearby Berry Center features concerts, sports games and plays, while the Cypress Premium Outlet Mall feeds the need to shop. Residents can rest easy knowing that the award-winning Cypress Fairbanks Medical Center and North Cypress Medical Center are also close to home and Houston is just 25 miles away, providing all the big-city benefits without the daily headaches. For a small-town feeling tucked inside a larger, vibrant community, Heritage Towne Lake offers 55+ active adult residents the best of all worlds.